New York, London, Milan, and Paris — Fashion Week cities right here. 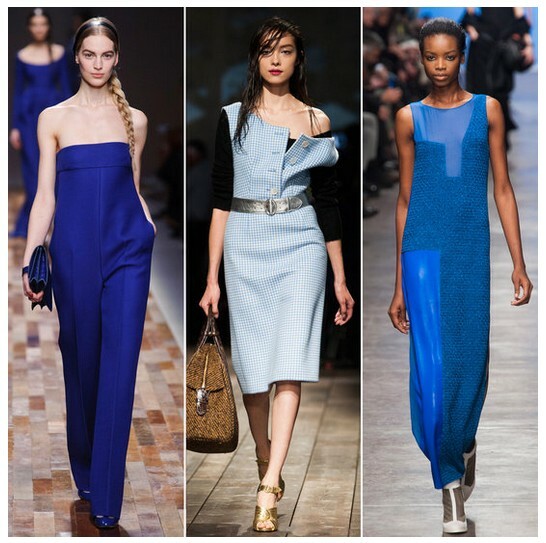 The Fall 2013 runways showcased a wide range of cool blue hues. From Valentino's cobalt jumpsuit to Prada's ladylike sky-blue gingham sheath, there should be enough shades of blue to keep you content all season long. It's easy to say, "It's all in the details," but the Fall '13 collections took a bolder (than ever) stance on standout embellishments and finishes. 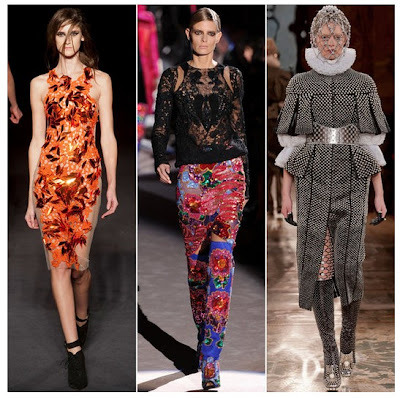 Whether it be Lanvin's bejeweled tiaras and insect appliques, Gucci's dark-hued feather gowns, Alexander McQueen's Elizabethan takeover, or Julien Macdonald's bright orange mirrored effects, the details were not just an outfit perk — they were the main event. What exactly do we mean by the "new" structural bag? Just that designers spared no angular line or boxy shape where their handheld accessories were concerned. 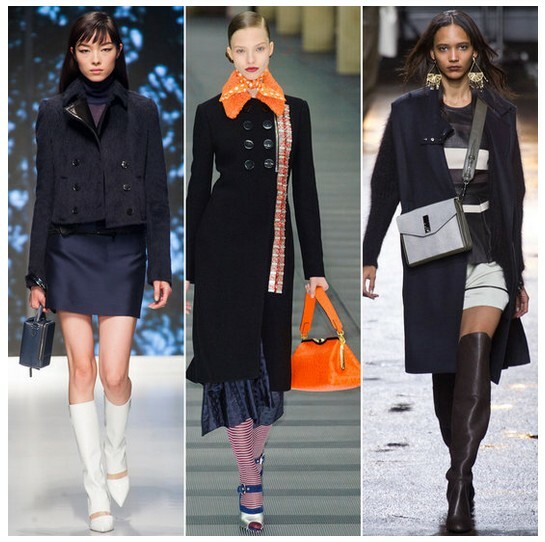 It wasn't limited to sharp-edged crossbody bags and boldly pronounced doctors' bags, either; even the accordian-pleated clutches and camera bags got their structural dues. 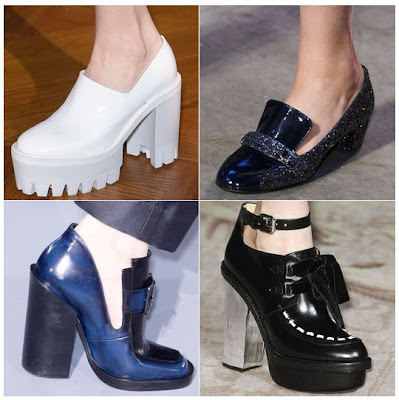 For Fall '13, footwear is getting a reality check - shoes are grounded with lug soles and platforms; rounded toes; heavier soles; and thick, stacked heels.